The Ted Hughes Award for New Work in Poetry is a poetry prize in the UK that recognises excellence in poetry. But what makes it different from other prizes is that it particularly wants to celebrate innovation in poetry and the contributions that poets make to our cultural life more generally. The winner receives £5,000, donated by Carol Ann Duffy; this is funded by the annual honorarium given to the UK Poet Laureate by the Queen. Former Ted Hughes Award winners include Jay Bernard for Surge: Side A, Holly McNish for Nobody Told Me, David Morley, for The Invisible Gift: Selected Poems and Kate Tempest for Brand New Ancients. Winning works tend to stretch the boundaries of poetry, work with other forms, and bring poems into unexpected places in our lives. 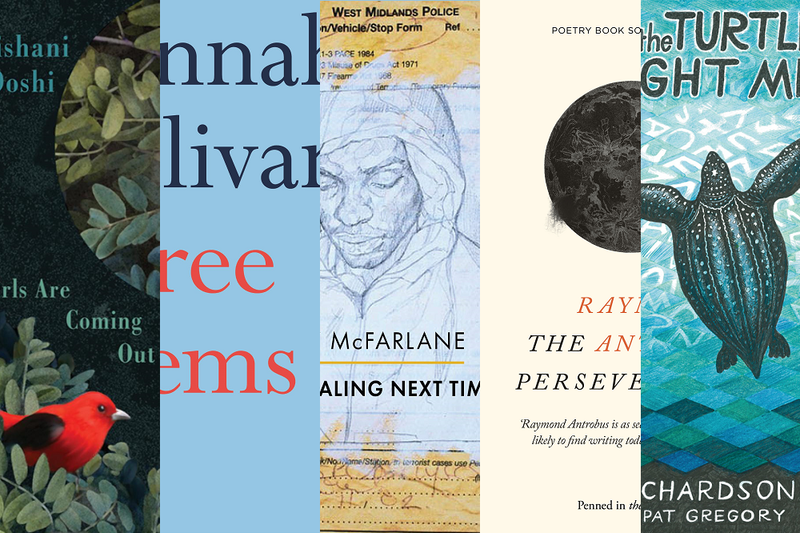 We’ve been speaking to some of these poets about being shortlisted, how poetry can add to UK culture, and grilling them for recommendations for poetry books, podcasts and shows. Here you can find out more about each of the shortlistees (including excerpts from their shortlisted work), and to hear from each of them read on! The Ted Hughes Award for New Work in Poetry is awarded to a poet, working in any form, who has made an outstanding contribution to the UK’s cultural life. How do you feel that contemporary poetry contributes to UK culture? Raymond Antrobus: A poem can be a slowing down, it’s a focusing, a concentration on an idea or a moment. It allows us to examine the language that expresses our culture. We seem to be living through a time where there is a hunger to re-examine many things about our culture and which words, people and ideas we hold up. Poetry, I think, has a unique ability to get to the heart of these ideas, to pose new questions, and give us new metaphors. 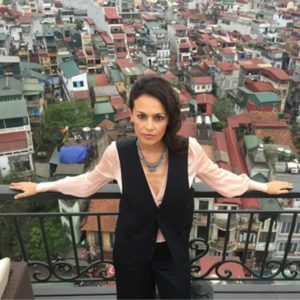 Tishani Doshi: There’s an immediacy and elasticity to poetry, which allows it to permeate and cross-pollinate with so many forms – music, film, installation, dance, theatre, science, fashion. Technology (such as social media and self-publishing) has displaced the traditional ‘gatekeepers’ of poetry and I believe that poetry today is more diverse and representative than it’s ever been in the UK. Poetry can respond to violence, injustice, and the mounting fears we face. It can instigate anthems and call forth joy. It insists on beauty despite every disappointment that awaits us. And it does all this with very little commercial motivation, so my feeling is that we should trust poetry and poets more than we do. 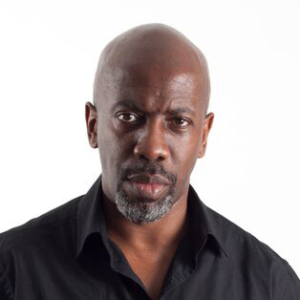 Roy Mcfarlane: Hopefully contemporary poetry reflects the diverse cultures of the UK and breaks the cast of a monolithic reading of poetry. I imagine that every literary movement (like the Romantic Poets or Beat Poets) at their time challenged the previous thinking of poetry. Contemporary poetry will always be exploring new ways to invade the white space of blank pages or the blue screen of computers; it will use all the forms and materials available and reflect the time we’re living in. 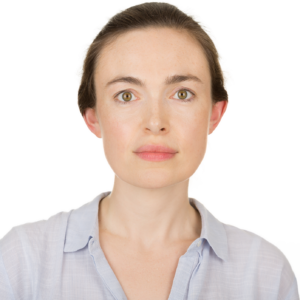 Susan Richardson: In these times of mass extinction, galloping climate change, political and ecological collapse, my feeling is that contemporary poetry has a critical contribution to make to UK cultural life, engaging hearts and minds and reconnecting imaginations to all that we’re losing, to the unvoiced, the voiceless and overlooked. 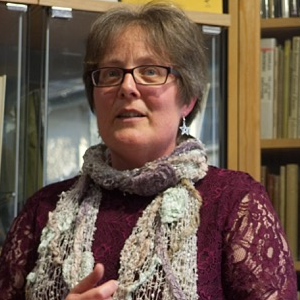 Hannah Sullivan: How does contemporary poetry contribute to UK culture? Indirectly, sneakily, obliquely. By finding new camera angles on ourselves and the everyday world, or making us look more attentively at hidden or neglected or ugly things. (The first poem in Ted Hughes’s first book, ‘The Hawk in the Rain’, does both of these things at the same time, beginning with the hawk’s perspective: ‘effortlessly at height hangs his still eye’.) Not by throwing bricks through the front window, as Ezra Pound once advised T. S. Eliot, but by going round the back and taking the swag… By being short, memorable, improbable nuggets of language in a digital culture where we read a lot of diffuse, fluid, anonymous, recycled and predictably formed or automatically generated text. Could you share one writing or reading tip? RA: Check your reading diet. Make your mistakes while you’re young and learn from them. Find mentors and help others on their literary journey. TD: Read widely and deeply. Buy collections of poetry rather than reading just a few of a poet’s greatest hits on the internet. RM: When it flows, write, write, write with no thought for editing, or how it feels, or what others might think: just write it all down and then you can come back and edit. Read a book from page to page and underline in pencil what lines or phrases excites you. SR: I like to prise myself away from my desk and write outdoors whenever possible, especially if I’m feeling a bit stuck. Taking myself to the wind-battered cliff top near my home, where I’m almost always accompanied by kestrels, grey seals, harbour porpoises and choughs, puts me in touch with the rhythm of other creatures’ lives, shifting me out of an anthropocentric, and into a much more animal-centric, frame of mind. I also write and edit aloud as much as possible, speaking and listening to the sound, and sound patterns, of the poem on which I’m working. Could you share one recommendation for a poetry book, podcast, or show? RA: The book I have always returned to on writing poetry is The Poet’s Companion by Kim Addonizio and Dorianne Laux. TD: Pascale Petit’s Mama Amazonica (Bloodaxe). RM: I’d love to recommend a podcast called The Poetry Exchange; enjoy the conversations they’ve been having with poets about Poems as Friends. SR: It’s so hard to make just one recommendation. I’d like to give a shout-out to Kathy Miles – her most recent pamphlet, Inside the Animal House (Rack Press), is technically assured, brimming with startling metaphors, and deliciously surreal. I also much admire Corbel Stone Press’s nature-and-landscape-inspired publications. And I’d love to invite young poets to check out Zoomorphic, the digital literary magazine that defends and celebrates wild animals, for which I feel very lucky to be poetry editor. HS: I’d recommend the New Yorker’s poetry podcast – a smart, concentrated format, where one poet reads and discusses another’s work, in sometimes surprising pairings. How does it feel to have work shortlisted for an award? RA: It’s an honour but I honestly don’t expect these things. I don’t think it’d be healthy to expect it. There are a lot of quality poets around who are working hard on their craft. For me it’s best to keep the energy in your next poem, otherwise you might start to feel entitled and that’s an ugly thing. TD: I’m thrilled that Girls Are Coming Out of the Woods has been shortlisted. It’s rare to feel that a book has arrived at the precise moment it needed to arrive in the world. Much of my work has to do with gender violence, so landing in the midst of #MeToo has given these poems a different kind of vitality. RM: Being shortlisted is an honour but equally humbling to be nominated with such a strong field of poets. The joy of knowing that your work has been recognised and appreciated counteracts those moments when writing poetry can be a lonely place, disconcerting, and full of self-doubt. SR: I’ve been dazed and disbelieving – as well as extremely happy, of course – ever since hearing the news about my shortlisting. HS: It’s a lovely, surprising honour to be shortlisted for any award, especially after being an unpublished writer for a long time and fearing that even my best work was, for some reason, failing to communicate itself. Is there anything in particular you’d like young poets to take from your work? TD: What I go to poetry for is surprise, wonder, beauty, transformation, and an articulation of language that alters the senses. I’d hope readers of my work would find some of that too. RM: I hope my work agitates and stirs the water regarding the issues of our time but celebrates the beauty of our humanity and the power of love. SR: After reading my work, I hope that young poets might ponder on poetry’s role in raising awareness of ecological issues. Can poetry make a difference and, if so, how? Aside from bearing witness, to what extent can it inspire shifts in perception and create new patterns of thoughts and experience? And, as poets, if we hope to express an ecological message, how might we do so without being overly strident, which can only serve to alienate the reader/listener? HS: I don’t think there is any particular thing to take from poetry generally – but it can be useful to ask what you’re bringing to it, on any particular encounter, and what it would take to be a poem’s best possible reader (are there other things you wish you’d read, attitudes that need suspending, do you need to go more slowly and reread, etc.?). 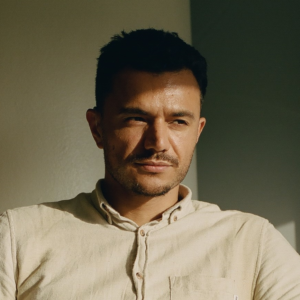 The winner of the 2018 Ted Hughes Award was announced on Wednesday 27 March 2019: congratulations Raymond Antrobus! Check the website to find out more about each of these poets, and more about the winner of this year’s Award.